One in five babies in the world will be fed on Irish-produced infant milk formula when the new €50 million investment by Danone Baby Nutrition comes on stream in Cork, according to the Minister for Enterprise, Trade and Innovation, Batt O’Keeffe TD. Minister O’Keeffe said one in seven babies worldwide are fed on Irish-produced infant milk formula. ‘That will rise to one in five after the new Danone investment in Macroom, which is supported by the Government through Enterprise Ireland, begins commercial operations in the first half of 2012, said Minister O’Keeffe. Danone’s investment, announced earlier this month, will create more than 40 new jobs in a major expansion of its processing facility in Macroom. About 200 jobs will be created during the construction phase of the expansion which is set to begin in February. The 40 new jobs in Macroom will be in food science, engineering and supply chain management. The Macroom factory will be the largest and most technologically advanced manufacturing centre in Danone Baby Nutrition’s global network. A new drying line at the factory will treble annual capacity to around 100,000 tonnes and 98pc of the output from Macroom will be exported and commercialised in 60 countries. Minister O’Keeffe said local workers and management had worked hard to help make Danone a leading global baby nutrition manufacturer. ‘The group’s global reach is staggering and the new research and development activity in Macroom shows that we have the local talent pool and workforce skills to drive fresh levels of innovation for a world food giant. ‘The impact of the €50 million investment will be felt across a number of fronts – 40 new direct jobs, an estimated further 200 jobs during the construction phase, an increase in exports of close to €150 million and a trebling in Irish raw material spend to €65 million over the next three years. 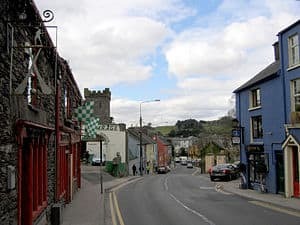 ‘The investment attests strongly to the performance of the Macroom and Wexford plants and local workers’ reputation for excellence was a critical factor in securing the investment for Macroom,’ said Minister O’Keeffe.